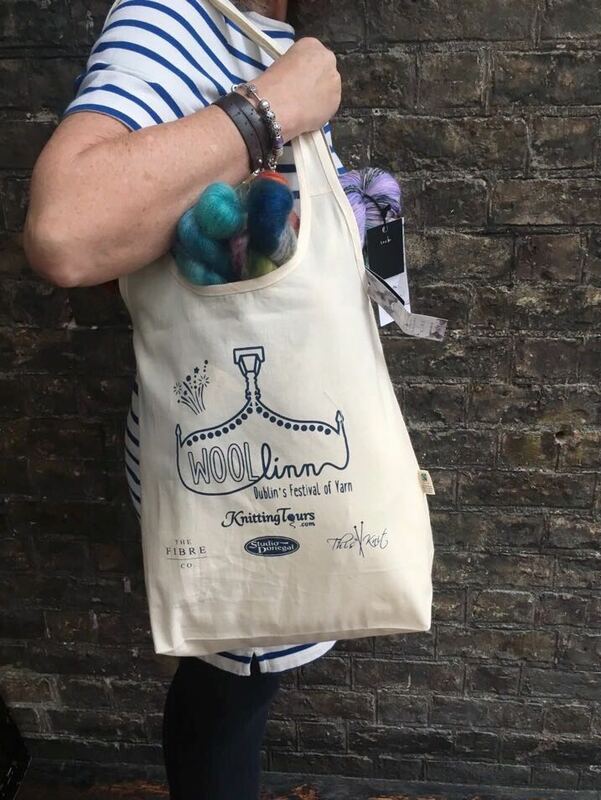 With only a few days to go until doors open here at Woollinn HQ, we thought we would introduce you to some exclusive Woollinn goodies that you can only get your hands on at the festival! 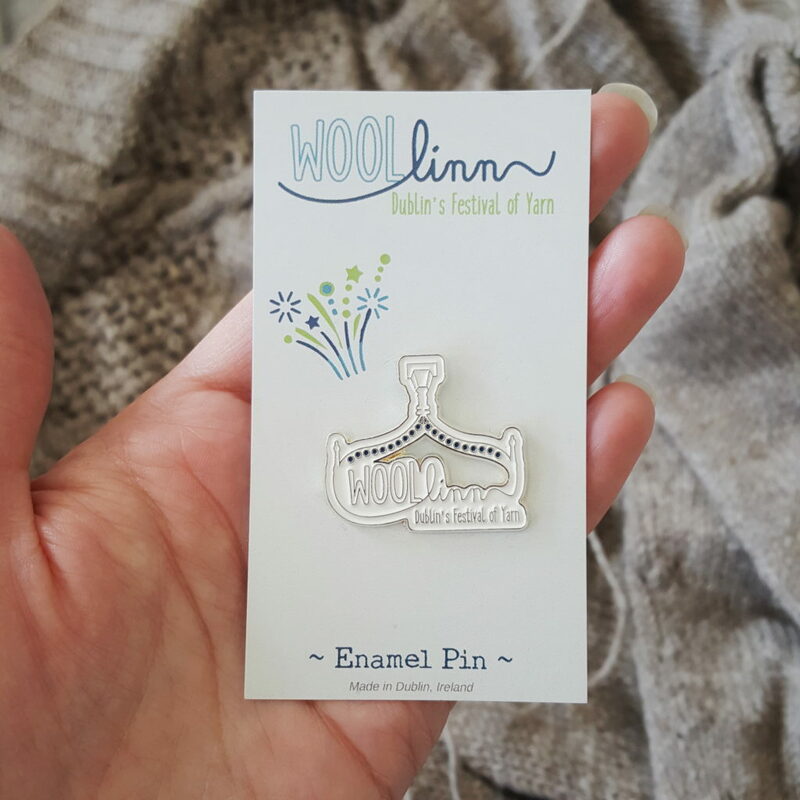 We might be a little bit excited about these……..
For the collectors out there, we have these beautiful enamel pins made in Dublin, Ireland. They are ready to adorn your totes, project bags, hats and more! What craft bag would be complete without a needle gauge? 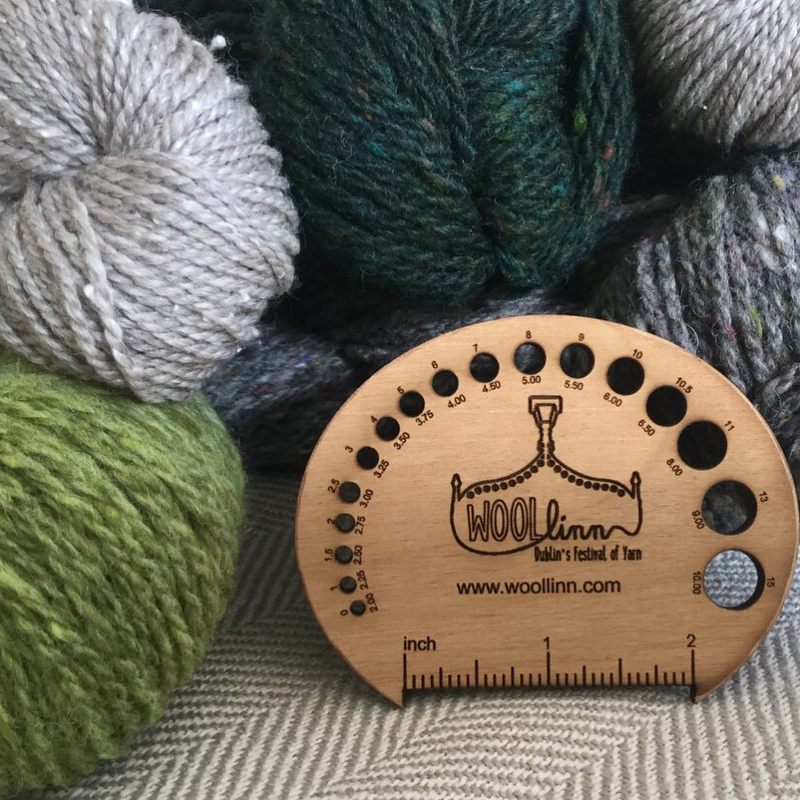 We absolutely loved the Townhouse Yarns’ wooden gauge (and you did too!) so we commissioned these beautiful wooden gauges for Woollinn. Finally, we have the Woollinn Festival Programme! 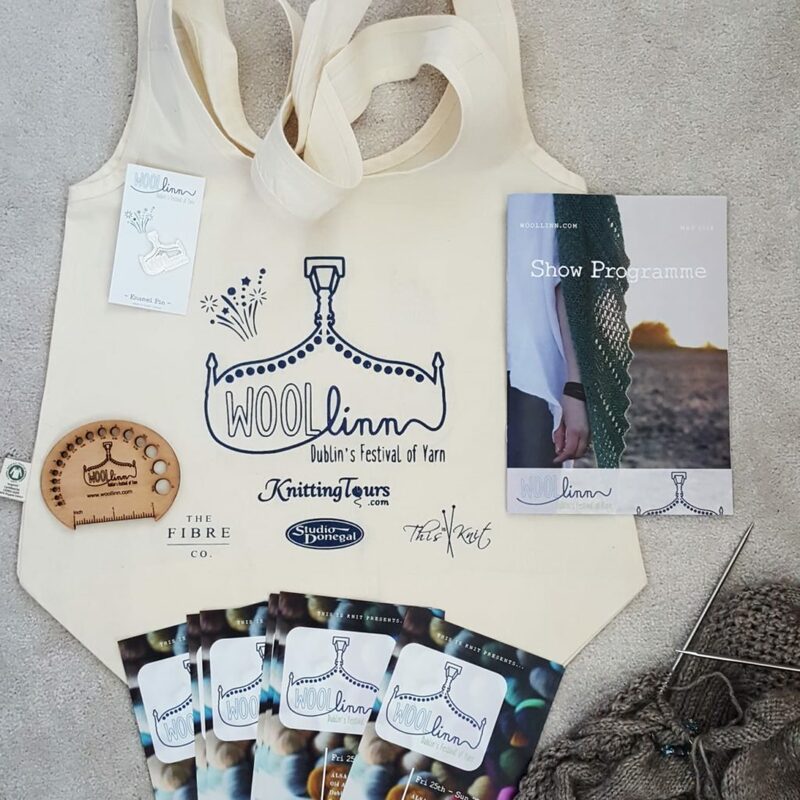 Think of this as your Woollinn survival guide along with exclusives previews and wonderful patterns. In here you will find not 1 but 2 beautiful knitting patterns. 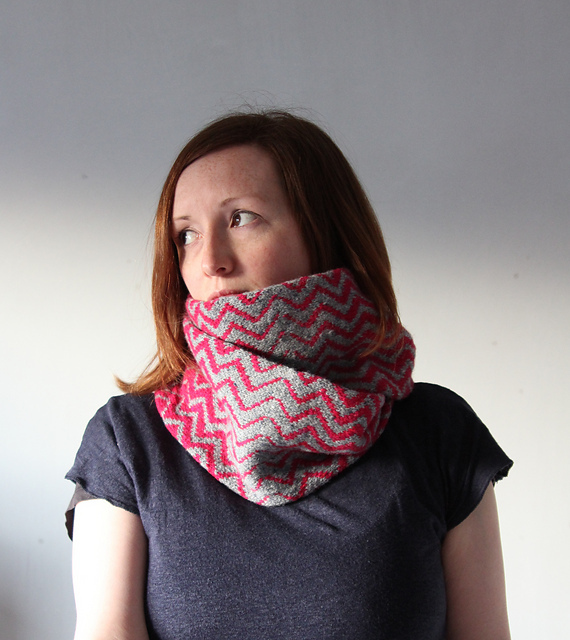 First, we have the eye-catching cowl Ziggy Played with Yarn by Playing with Fibre in Studio Donegal’s Darnie (which is also launching at Woollinn). This stranded colourwork cowl features a zig-zag pattern with gradual shifts in the dominant colour to produce that undulating effect. Then we have the beautiful Woollinn Shawl, Bealtaine by Carol Feller which I’m sure you have heard all about but, just in case, this beautiful vortex shape shawl is worked side to side with periodic decreases to create that zig-zag bottom edge. The lace is easily memorised and is perfect for casting on at the show! 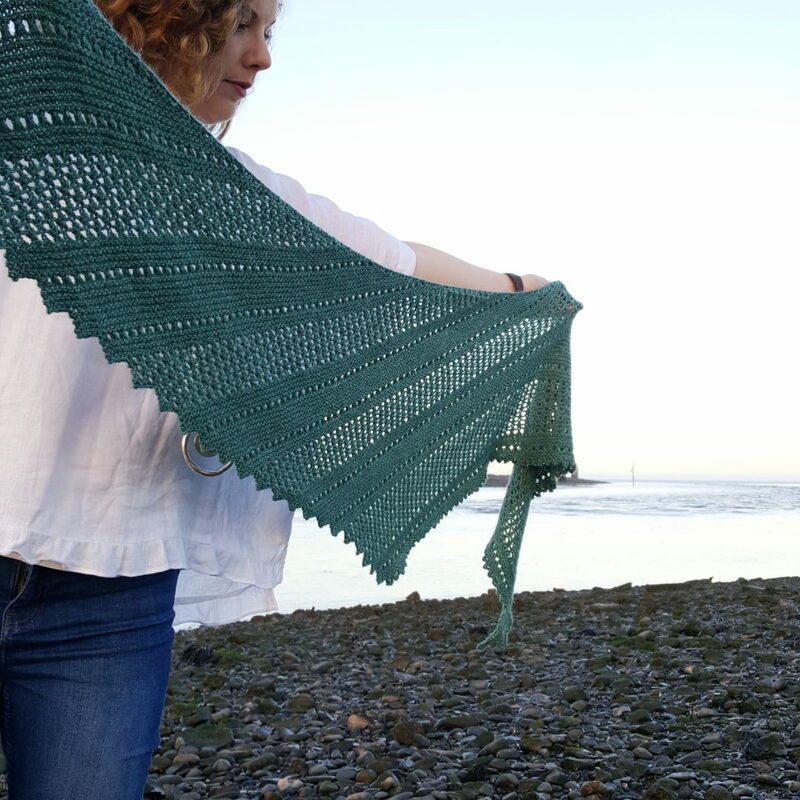 This shawl comes as a kit with 5 skeins of Stolenstitches Nua in the exclusive colourway ‘Woollinn’ which is a beautiful teal; a subtle blend of green with hints of blue. These kits are available for pre-order and collection at the show from ThisisKnit and Carol Feller. The Woollinn show programme also contains a preview of Carol Feller’s latest book Echoes of Heather and Stone, which I can not wait for you all to see, but my lips are sealed until those show programmes are safely in your hands! 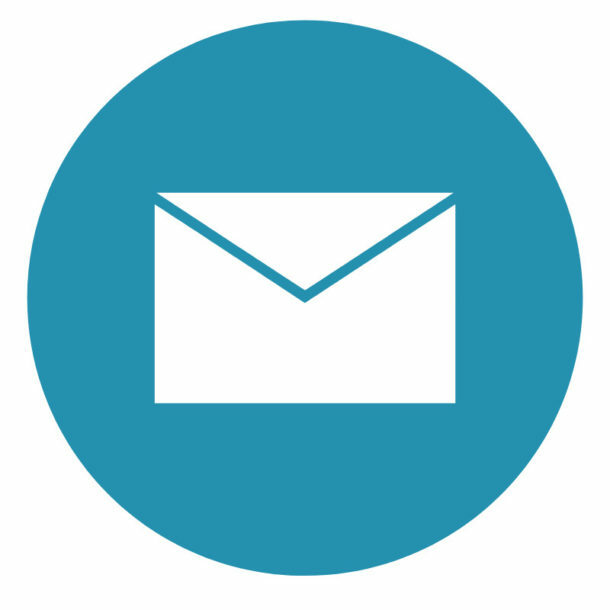 You will also find the essentials: the list of Woollinn Vendors, Marketplace Map, not-to-be-missed Show Highlights and Event Timetables and more. We are getting very excited! Are you? Psst – Due to demand, we opened back up our advance ticket entry at door price of 12 euro. You can nab yours for Friday here and Saturday here! Hi! I am also very excited! I am travelling from Zurich and cannot wait to get on the plane!! I have already ordered my Bealtine and will pick it up there but wanted to ask; is there a chance to buy all the goodies (above mentioned) before? and pick it up at the Marketplace? My apologies but I only just saw this comment now. You could indeed pick them all up in the marketplace but you couldn’t pre-order them. I hope you enjoyed the event and that you found everything you wanted the merchandise stall.